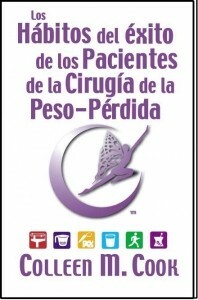 3rd Edition Case of 24 books @ $15.95 per book. Retail price $22.95. 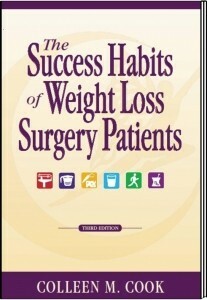 Research-based, surgeon recommended The Success Habits of Weight loss Surgery Patients is the # 1 bariatric best seller. The principles taught here continue year after year to be a standard for success throughout the bariatric community. The Success Habits Principles are now taught in hundreds of bariatric programs all over the world and are recommended by many Bariatric Centers of Excellence, surgeons and bariatric health professionals. They provide structure, clarity and simplicity for weight loss surgery patients as they reach and maintain a healthy weight. You will find in this new edition stories from the lives of Gastric Bypass, Laparoscopic Band, Duodenal Switch, & Vertical Sleeve Gastrectomy weight-loss surgery patients. Each one has found success through the surgical treatment of their choice and by making the Success Habits an integral part of their lives. These are not just one year winners but long term losers! Five, ten, fifteen and nearly thirty years post-op. 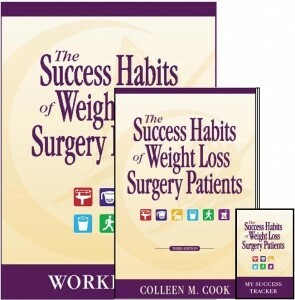 They are well, healthy and grateful for their decision to have weight loss surgery and for the structure and accountability that the Success Habits principles provide.Whether you are investigating weight loss surgery, a new patient, a veteran, a struggling weight loss surgery patient, or a bariatric professional you will find this book both educational and motivational. 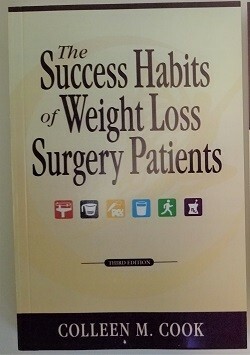 Research-based, surgeon recommended The Success Habits of Weight loss Surgery Patients is the # 1 bariatric best seller. The principles taught here continue year after year to be a standard for success throughout the bariatric community. You will find in this new edition stories from the lives of Gastric Bypass, Laparoscopic Band, Duodenal Switch, & Vertical Sleeve Gastrectomy weight-loss surgery patients. Each one has found success through the surgical treatment of their choice and by making the Success Habits an integral part of their lives.